Located in Moema for 28 years, the Nursery and Early Childhood Penguin School offers infrastructure adapted to the needs of students, in a cozy space to receive children from 4 months to 5 years and 6 months of age. It's a thousand square meters totally planned, in order to provide an environment in which children can experience learning in a pleasant way and with well-being and security. Its philosophy of teaching seeks to provide the complete development of the child, through the experience of practical experiences and the relationships established between them and the environment in which they live, where learning happens from the knowledge already acquired for the new discoveries; Educating with love to form citizens aware and prepared for the new stages of life. 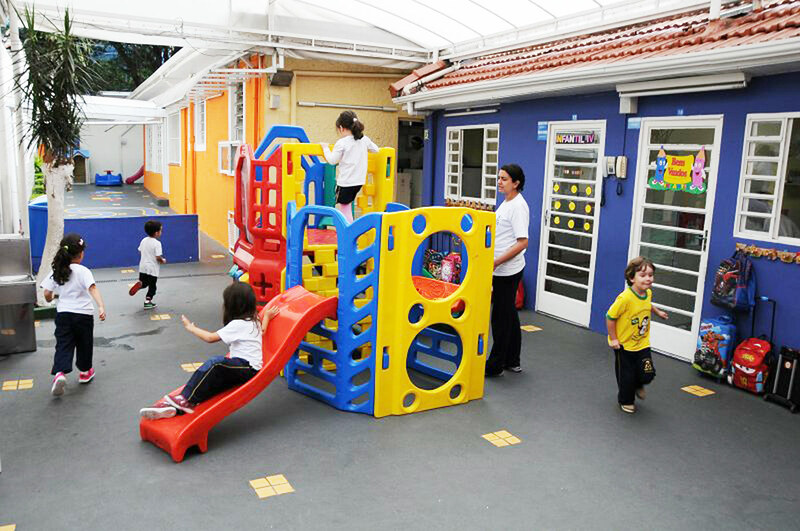 With large rooms, ventilation and natural lighting, the Penguin School provides a favorable and healthy environment for the overall development of the child, respecting their rhythm and potential. Through a socio-constructivist proposal, which uses projects and actions that promote the construction of knowledge, children live the pedagogical practice in a playful way, which provides significant learning. Through experiences and enriching activities, the institution leads the student to reflect, question and intervene in the educational process. The food is prepared and accompanied by specialized nutritionists for the age group served by the institution. The menu is balanced, and all meals are prepared on site. Security all day with internal and external monitoring.